This spring, Inprint awarded 11 prizes ranging from $1,000 – $10,000 to students studying creative writing in Houston. Winners of these prizes will give short readings from their work, followed by a reception. Houstonians are invited to Brazos Bookstore for the reading and to meet these diverse young writers. 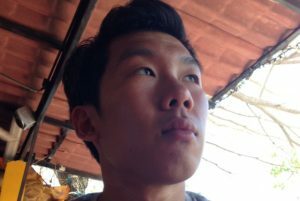 Originally from Brooklyn, Dan Chu is completing his MFA in poetry at the University of Houston. He is a recipient of the Inprint Verlaine Prize and the Brazos Bookstore/Academy of American Poets Prize. He serves as a poetry editor for Gulf Coast: A Journal of Literature and Fine Arts. Joshua Dewain Foster is a PhD student at University of Houston’s Literature and Creative Writing program. He earned MFAs (F/NF) from the University of Arizona and was later the recipient of a Wallace Stegner Fellowship from Stanford University. His fiction and nonfiction publications have been nominated or mentioned for the anthologies Best of the Web, the Pushcart Anthology, and Best American Essays and have appeared in the magazines Tin House, Fugue, South Loop Review, Hawk & Handsaw, among others. Josh draws much of his material from life in rural Idaho, where he worked many years as a laborer on his family’s farm and ranch. His most recent essay “Here Comes the Hotstepper” (concerning Uber, Houston’s SuperBowl, and Ini Kamoze’s one-hit wonder) is available to read here. He’s on Twitter @JDFish_9. 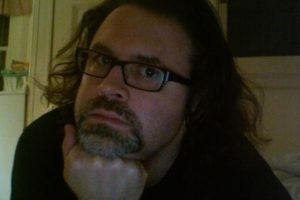 Joshua Gottlieb-Miller holds an MFA in poetry from the University of Houston, where he has returned to pursue his PhD. His poems can be found in Grist, Four Way Review, Pleiades, Indiana Review and elsewhere, and a non-fiction/poetry hybrid can be found at Pacifica Lit Review. Previously he has been a MacDowell Fellow, a Gulf Coast Poetry Editor, and a recipient of the Inprint Barthelme Prize in Poetry. 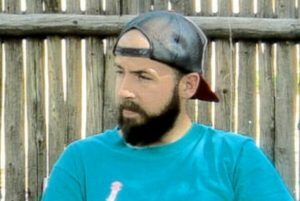 He also teaches for WITS and Inprint, and lives in Houston with his wife, Lauren, and son, Owen. JP Gritton received his MFA from the Johns Hopkins University and is working toward a PhD in English and Creative Writing at the University of Houston. His fiction has appeared or is forthcoming in Black Warrior Review, Greensboro Review, Southwest Review, Tin House and elsewhere. Dana Kroos grew up in Minneapolis, Minnesota, and received an MFA in fiction from New Mexico State University. Her short stories and poems have appeared in Glimmer Train, The Florida Review, Penumbra, The Superstition Review, Minnesota Monthly, and others. 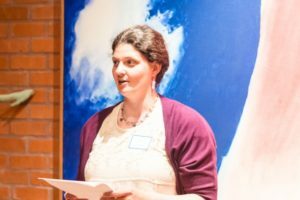 She has taught English and art courses at the university level for 15 years and is currently working towards a PhD at the UH Creative Writing Program, where she received an Inprint C. Glenn Cambor Fellowship, and two Inprint Donald Barthelme Prizes in Fiction and Nonfiction. 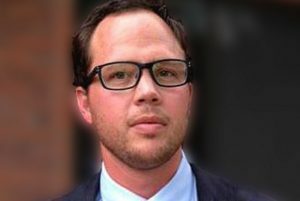 Jonathan Meyer was born in Texas and has punched the clock as a teacher, bookseller, journalist, rock musician, and oilfield worker. In 2009, he earned a BFA from Emerson College in Writing, Literature, and Publishing. He is currently completing an MFA in Fiction from the University of Houston, where he is the Online Fiction Editor for Gulf Coast. His writing has appeared in Gauge, The Emerson Review, Microchondria, and The Boston Phoenix. He is at work on a novel-in-stories set around the Texas oil industry. 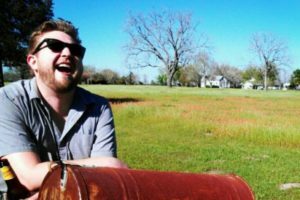 Christopher Brean Murray is a PhD candidate in poetry at the University of Houston, where he received an Inprint C. Glenn Cambor/ Mary Gibbs and Jesse H. Jones Fellowship. His poems have appeared in Forklift Ohio, jubilat, New Ohio Review, North American Review, Pleiades, and other journals. 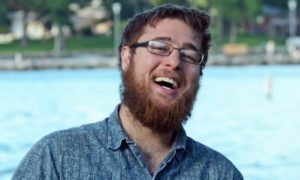 He served as the online poetry editor of Gulf Coast from 2014-2016 and teaches writing at UH and Lone Star College. Michele Nereim is pursuing her PhD in fiction writing at the University of Houston, where she is an Inprint C. Glenn Cambor/James A. & Isabel M. Elkins Fellow. She is a recipient of the 2016 Inprint Donald Barthelme Prize in Fiction and currently works as Gulf Coast’s Managing Editor. She holds an MFA from Florida State University, and her work has appeared on NPR. 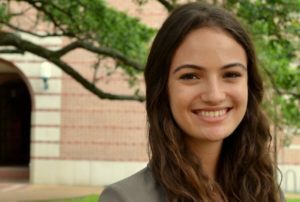 Sophie Newman is a senior at Rice University majoring in English and minoring in Sociology. She is currently at work on a thesis project about loss, memory, and family. In the future, she hopes to serve with Americorps and pursue an MFA in creative writing. Aza Pace is a Poetry MFA student at the University of Houston, where she also serves as an Assistant Poetry Editor for Gulf Coast. She was raised in rural East Texas and holds a B.A. in English Honors from the University of Texas at Austin. In her work, she explores questions of gender, religious experience, and the strangeness of the everyday. Her poetry has appeared or is forthcoming in The Southern Review and Feminine Inquiry, and her reviews appear in Gulf Coast. 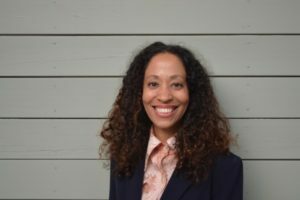 Adrienne Perry grew up in Wyoming, earned her MFA from Warren Wilson College in 2013, and is a PhD candidate in Literature and Creative Writing at the University of Houston. From 2014-2016 she served as the Editor of Gulf Coast: A Journal of Literature and Fine Arts. 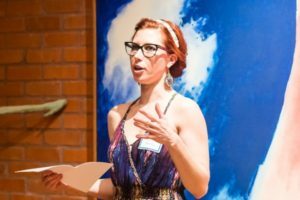 A Hedgebrook alumna, she is also a Kimbilio Fellow and a member of the Rabble Collective. 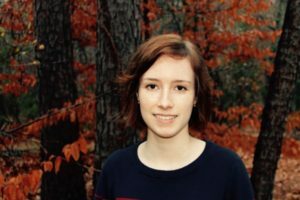 Adrienne’s work has appeared in Copper Nickel, Black Warrior Review, Indiana Review, Tidal Basin Review, and elsewhere. She is at work on a novel and a collection of essays. Inprint has been proud to support the next generation of creative writers through annual fellowships and juried prizes for graduate students at the University of Houston Creative Writing Program and an annual prize for an undergraduate at Rice University. This year alone Inprint’s direct support to these student surpasses $200,000 and since 1983, Inprint’s support of 500+ emerging writers has totaled close to $4 million. Recipients of these fellowships and prizes come from all parts of the world and have gone on to impact our local and national communities through teaching, writing, publishing, and more.